A week ago yesterday we returned from our family vacation, and between recovering from that, chemo on Monday and “the shot that makes me ache” (Neulasta) on Tuesday, I haven’t had the energy to even think of writing about it until now. But now I’m feeling a little better, and it’s time to talk about the trip. Well, yes, in fact we did, as we do every year, along with more than 10,000 other planes of every shape, size, age, condition, and type. This year, Boeing’s new 787 Dreamliner made an appearance. So did Fifi, the world’s only airworthy Boeing B-29 Superfortress. There were other warbirds too, from every war since planes have existed. As always, ultra-lights soared above, so fragile looking that you’d swear you could swat them down like mosquitos, while immaculately restored and polished vintage planes proudly held their props high as people stopped to admire them. Beautiful, to be sure, but oh so noisy at that hour of the morning. That’s okay. It’s Oshkosh, and for that week, aviation rules. 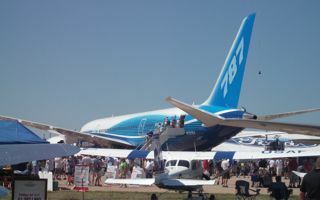 You see, Oshkosh is host to the Experimental Aircraft Association’s yearly “Airventure,” America’s largest gathering of aviation enthus — what the hell, let’s just call them aviation nuts. Most of them are anyway. For that week, the control tower at Oshkosh’s Wittman Regional is the busiest in the world. Just for comparison, let’s look at the numbers for Friday of 2009. On that day, Wittman controllers handled more than 3,400 operations. On the same day, Chicago O’Hare (ORD) saw 2,400 and Atlanta Hartsfield (ATL) had about 2,700. But the numbers from ORD and ATL were for an entire 24-hour period. The Oshkosh figures include only the ten hours the airport is open, without the daily airshow. (Figures from official EAA Airventure 2011 website article — http://www.airventure.org/news/2011/110730_wanda.html). That’s a lot of planes. There’s also a lot of people. This year attendance topped 541,000, and I’ve heard on any given night there are more than 100,000 sleeping on EAA grounds. Yes, the lucky ones fly to Osh; the adventurous and fortunate camp on the grounds. And those who really lead a charmed life camp under the wings of the Metro Warbirds. Ahh, the Metro Warbirds … how can I explain us? It’s easier to tell you what we’re not. The Metro Warbirds aren’t a club, an organized group or an association. We’re not regionally based either. Rather, we come from all over — Pennsylvania, Ohio, Minnesota, Illinois, Kentucky, Arkansas, California, Colorado, Texas, Missouri, Montana, and Michigan, to name a few. Think of us as a family, spread across the country, which reunites once a year for a gathering centered around planes and friendship. A family that encompasses, as all families do, a host of weird characters held together by love and not much else. “No dues. No rules. No one’s in charge.” That’s our slogan. At least, it’s one of them. The second, more colorful, MWB motto is “$@## ’em if they can’t take a joke,” from our somewhat, shall we say, controversial theme song (also known as the forbidden song). Go to http://www.youtube.com/watch?v=FRz2La0IhWQ, if you’d like to tarnish your unsullied mind by listening to an excerpt. Mothers, including myself, who would otherwise box their children’s ears for such language have been known to sing the lyrics out loud and clear for all the world to hear. Oshkosh is the exception to many rules. I say, if you can’t take a joke, you’re pretty much already f—ed … er, screwed … I mean messed up already. 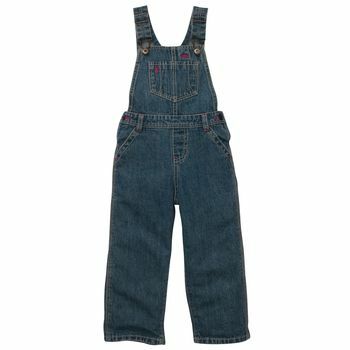 The truth is, there are “Oshkosh Rules, at least three that I can think of. Everyone pitches in. At least, most do, and that’s enough to make things work. As for those who don’t (and we all know who they are), it’s not worth fighting about. So, chill. This is Oshkosh. Here, chop these vegetables. You move your feet, you lose your seat. I’ll admit this is one I occasionally break when I can’t find a chair and I know there’s someone who didn’t lug one all the way from Ohio sitting in mine. So sue me. I’m selfish like that. Complain about the food and you cook the next meal. That pretty much covers things. It’s kind of like that book — All I Really Need to Know I Learned in Kindergarten? — if it doesn’t break one of the rules, it’s probably okay. You’re probably thinking that no group could exist for long with such simplistic guidelines. You’d be wrong. There have been Metro Warbirds, in one form or another, at Oshkosh for the last twenty-nine years. I hear the original members were rowdier back then, but nowadays, we’re pretty mellow. Photo of Dreamliner by Sarah M. Lucas. This entry was posted in Rave and tagged 11LL, Metro Warbirds, Oshkosh, Oshkosh 2011, vacations. Bookmark the permalink. 5 Responses to In Oshkosh. B’gosh. Great post! We do have a bunch of fun there. Who’dathunk it, a chance meeting on a little airport in Wisconsin?! A left-handed salute to you Kym, my hair err errr my hats off to you! I bet your hair is already longer than mine though! Must think of something stupendous for the thirtieth anniversary. I wonder if anyone was a photo of the original warbird covered in Metro stickers? If someone did, it would make a great addition to the post, don’t you think?